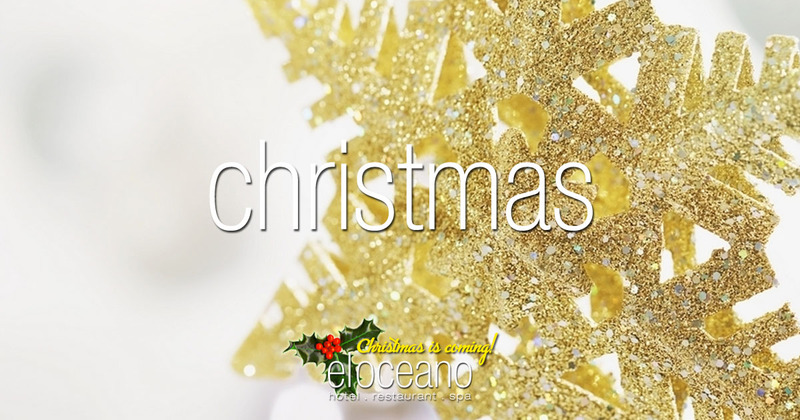 Christmas & New Year at El Oceano Hotel & Restaurant. The second biggest time of the year (after high season)!! Christmas and New Year at El Oceano are truly legendary! Book your Chirstmas/New Year place in paradise – before someone else does! The Christmas & New Year 2019/20 Season! El Oceano Luxury Beach Hotel and Restaurant is open for the Christmas and New Year 2019/20 Season! As always, we have a packed calendar of excellent entertainment over the season, lots of Christmas parties and a very warm welcome to everyone! If you’ve yet to book your Christmas in paradise, speak to us! There are still some rooms and tables available! And a special ‘Hello’ to all those guests who have already booked their place in Christmas paradise!! We can’t wait to welcome you! Already, Christmas Day, the New Year’s Eve Pre-Party, New Year’s Eve and New Year’s Day are looking very busy. Book your table for the festive Season! We’re still in the planning stage of preparing the exquisite menus for Christmas 2019 and New Year 2020, but we can confirm one or two things! Our chefs have been working, tirelessly, on keeping the things to really liked and adding one or two new menu items to whet your appetite! Christmas at El Oceano is a very special time! One of our annual highlights, Christmas Eve and Christmas Day are always very popular. Enjoy the elegance of our ocean-front dining room for your perfect Christmas dinner party. An exquisite menu in the perfect venue, accompanied by live party entertainment and the best service on the Costa del Sol. Leave your name and contact details with us to make a reservation enquiry for Christmas 2018.